Do Infrared Heat Cause Cancers? Infrared is technology is applied extensively in our modern world. What are Household Uses for Infrared Radiation? What are the Health Risks of Infrared Exposure? Once you discover that infrared is actually an electromagnetic RADIATION, the concerns can set in more quickly. If you have been wondering about Infrared technology, its effects on human health and, more specifically, “will Infrared Radiation cause cancer?” you have come to the right spot. In the following article we will take a closer look at what infrared really is and how the extensive use of infrared technology may or may not be affecting your health. A little over 200 years ago, a British scientist named William Herschel was conducting experiments on the different colors of the light spectrum, the colors of the rainbow. William was surprised to note that warmer temperatures were found at the red end of the rainbow than at the blue end. But, he was even more amazed to find much higher temperatures beyond the range of visible light past the red section of the rainbow, this heat was aptly called “infra-red”. This warmer temperature was caused by a type of radiant energy that we can feel and experience as warmth but we can’t see. A prime example of this is when you stand in the sun and feel the warmth radiating onto your skin. Infrared is invisible because its wavelengths, or frequencies, fall far below the visible light spectrum within the entire spectrum of electromagnetic energy. Even within the spectrum of infrared light there are ranges of wavelengths. Those closest to visible light are called “near-infrared” waves. These actually don’t emit any tangible warmth but are still very useful. The small LED at the end of your TV remote emits an infrared signal that can be used to control the device several meters away. Moving further from the visible ranges, we enter the “far-infrared” frequencies where things begin to heat up. These infrared frequencies are experienced as intense warmth most commonly as the warmth of the sun. As we will discover in the following section, these far-infrared waves have many applications to human needs. If you were to continue further along the electromagnetic past the infrared frequencies, you would arrive in the microwave zone where things get even hotter — hot enough to reheat that leftover spaghetti. Infrared light, or radiation, is a useful source of heat for a wide variety of human purposes. IR Heat lamps are used in restaurants to keep food delightfully warm without overcooking. Appliances like Toasters, heaters and hair straighteners or curlers also take advantage of this source of moderate heat. Incandescent bulbs only convert about 10% of the energy they use into visible light for nocturnal activities, the rest of the energy they use (90%) is infrared radiation. Doctors and physiotherapist use infrared devices to improve mobility in recovering patients and a host of other medical applications. Infrared Radiation is also applied to night vision technology used extensively in military, law enforcement and other security services. According to many studies, it has been found that IR can help to “prevent” the growth of certain type of cancerous cells especially breast, tongue, kidney instead of causing it. With all this infrared radiation being produced by every aspect of our modern civilization, it is only natural to wonder what the side-effects of infrared exposure could be. Read on to learn about the potential side effects of Infrared exposure. In response to the rising concern of profuse infrared use in modern societies a special commission was formed to investigate the issue in its entirety. International Commission on Non-Ionizing Radiation Protection released the findings of their exhaustive investigation in a 2006 statement that can viewed by all at the link provided. According to the experts at ICNIRP (International Commission on Non-Ionizing Radiation Protection ), the most prevalent biological side-effects from over exposure to infrared radiation are thermal injuries, in other words burns. The extent and severity of these burns can be mild to severe depending on the wavelength emitted by the infrared light. Furthermore, infrared radiation can cause thermal damage to the skin and sensitive tissues that will not be accompanied by any immediate feelings of pain. Skin that is continuously exposed to infrared radiation and the heat it produces may additionally suffer scaling, hyper pigmentation or telangiectasia even if the skin tissues are not directly damaged. Now here is the crux of the issue, infrared radiation WILL NOT in itself cause melanoma or any other form of cancer. However, increasing the skin temperature regularly through infrared heating will diminish the capacity of DNA to repair itself. This can facilitate the spread of cancers that have other causes. Finally, infrared exposure to the corneas and iris can cause damage to delicate tissues of the eye and possibly result in cataracts. In the end, infrared technology and its abundant application in our modern society is a relatively harmless thing. The biggest dangers would come from using infrared heating devices to elevate the temperatures of the skin or eye tissues, something most responsible users will avoid. Children should be carefully monitored and kept back at a recommended distance from infrared space heaters etc. Be sure to read the manufacturers recommendations when using your infrared appliances. If you present any discomforts or skin conditions discontinue use and contact your medical provider for more information. So, can infrared heat cancers and the answer to this question is, NO. As excessive usage of any medicine can damage your internal organs so as infrared heat. 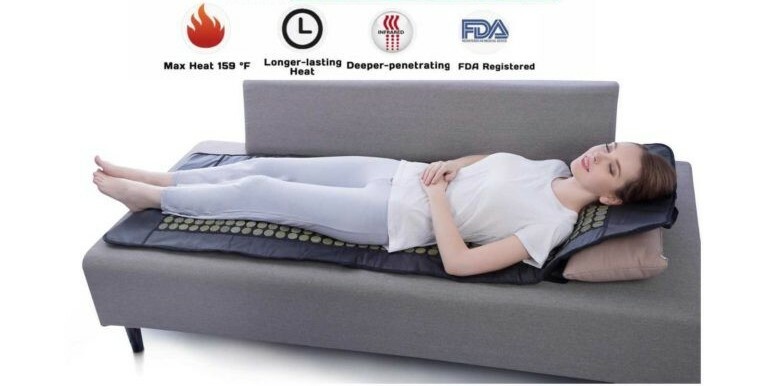 It is always advised to first consult your doctor if you plan to start an IR therapy or if you are planning to purchase an IR bed. Your doctor after thorough examination will be able to tell you if you are fine to use IR or not.